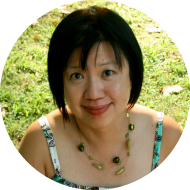 Yvonne Foo is an IT professional specializing in cloud computing, project management and social media strategy. Yvonne received her MBA from Lindenwood University. She is currently a member of the St. Louis Chinese Christian Church. She enjoys running and has completed several marathons. She is also an ardent pet photographer and her photographs have been published in several lead magazines nationwide. In addition to these activities, Yvonne is a strong supporter of OCA and community activities. In 2010, she was instrumental in organizing the Census Assistance Events where Census literature were made available to the local Asian Community. Over the years, Yvonne has been a part of OCA’s annual fundraiser planning. She was also the Project Management lead for OCA’s recent 4th Asian Career Networking event, which attracted local companies and 150+ job seekers. Her efforts and networking contacts have been a big support to OCA. Because of Yvonne strong support of OCA and the local community, she was awarded the “Community Service Award” in 2014.